The main verb, asked, arrives a whole 60 words after its grammatical subject, Pasquale, yet it’s no hardship to be made wait for it. The topic coheres: it’s all about Pasquale, his feelings for Lila, and his behaviour around her. The intervening material – a complex subordinate clause, a self-contained parenthesis with multiple clauses, and a participle phrase – is self-consciously elaborate, impossible not to notice, so we yield to it and enjoy the detour before finally reaching the predicate: asked derisively. The line may feel a bit more disjointed here, taken out of context, than it does in the book, where the reader tunes in to Ferrante’s style (and to Ann Goldstein’s beautiful translation from the Italian). But even allowing for that, it’s a good illustration of how writing advice and norms can differ hugely from one genre to another. This entry was posted on Saturday, September 9th, 2017 at 9:51 am and is filed under books, editing, language, literature, syntax, translation, writing. You can follow any responses to this entry through the RSS 2.0 feed. You can leave a response, or trackback from your own site. You’re welcome, Louise. 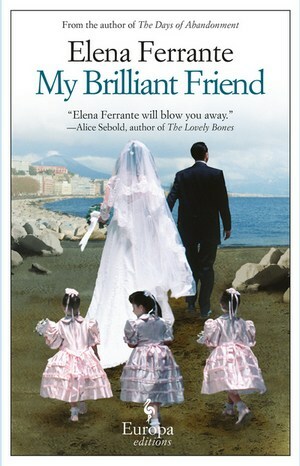 It would make a good read for a long journey, especially to Italy: the story is engrossing and well told. And if you finish it with time to spare, there are three more in the series – I hope to get to these eventually. Safe travels. English has the standard word order of SVOx, so all else being equal the verb is going to come sooner rather than later, unless you either lose control or deliberately decide to put it later. Almost as many languages are (x)S(x)O(x)V, so the verb standardly comes later/last. In Korean, one might say ‘I that (long description) person like/don’t like’, whereas in English it would be ‘I like/don’t like that (description) person (long description). In fact, in Korean, it is acceptable to omit the subject, so one might say ‘that (long description) person (object particle) like/don’t like’, meaning ‘I don’t like that person’. After reading Kant, the better to learn German (or so he said), Myles na gCopaleen wrote, ‘Waiting for the German verb is surely the ultimate thrill!’ I don’t think he ever learned Korean, though. Mark Twain also had some things to say. Japanese is the same as Korean, the verb being the last part of the sentence. Subjects are also dropped, often. Interestingly, it is possible to change the sentence, at the last second, from a negative to a positive (or vice versa) depending on the speaker’s perceived view of the receiver’s mood. That is interesting. English can do this concisely only by contravening syntactic norms, as in Wayne’s World’s “Not!”, still going strong decades later. I would tell him that spoken English and written English are not the same, that you can do that sort of thing in print because the reader can chop through the verbiage to get to the subject and verb, but it did no good. His spoken sentences should have come with road maps. I imagine it could be maddening, but you make it sound almost endearing; “the infinite preamble” is a poetic way of describing the habit. I know one or two people like this too, who just love to ramble. Nothing can persuade them to accelerate towards the point of it all. «Ascuola le tue compagne sono cosi?». I highly recommend the series, and Stan, I can’t believe you’ve read the first and aren’t already racing through the second! Ah, thank you for this. The strategy seems to have been preserved quite faithfully in the translation. As for reading book #2, I will when I get it; in the meantime there are enough unread on the shelf to keep me busy for years!